The campus of Eindhoven University of Technology will partly be redesigned in the framework of the CAMPUS 2020 plan of the University. These actions include the construction of a new high-rise building in the central part of the campus and the establishment of a "Green Boulevard" connecting the buildings of the different departments. It is imperative that the wind conditions for pedestrians around this high-rise building and at the Green Boulevard are comfortable. In this research project, we are performing a CFD study of the wind environmental conditions at the campus, for the current and the future situation. On-site wind speed measurements are made to validate the simulation results. The simulation results for the future situation will provide information on the wind speed conditions at the entire campus, and on the Green Boulevard in particular. If the predicted wind comfort is found to be below the acceptable thresholds, measures will need to be implemented. Before implementation, the effect of these measures will also be evaluated with the large CFD model. This project is in progress. Some images are given below. Fig. 1. 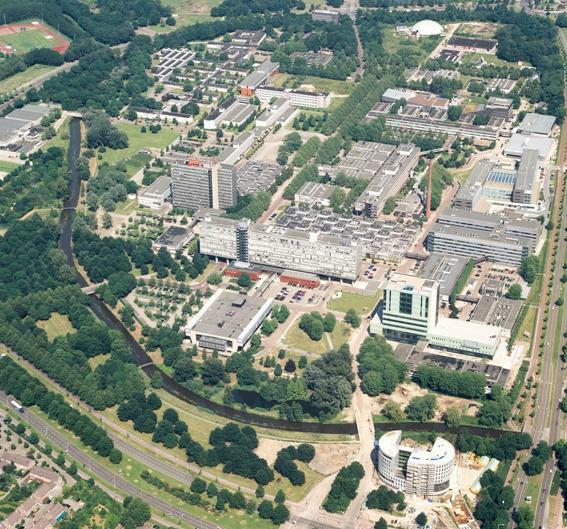 Areal view of the campus of Eindhoven University of Technology. Fig. 2. 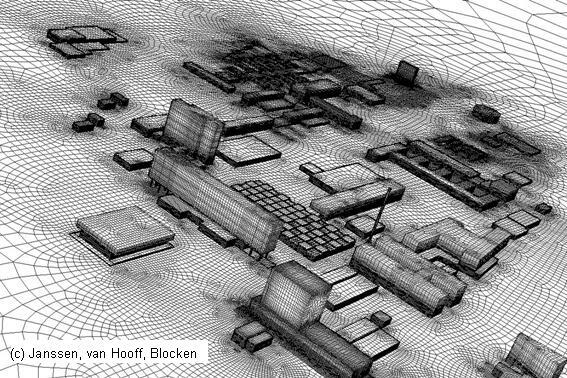 Large high-resolution computational grid of the campus. Fig. 3. 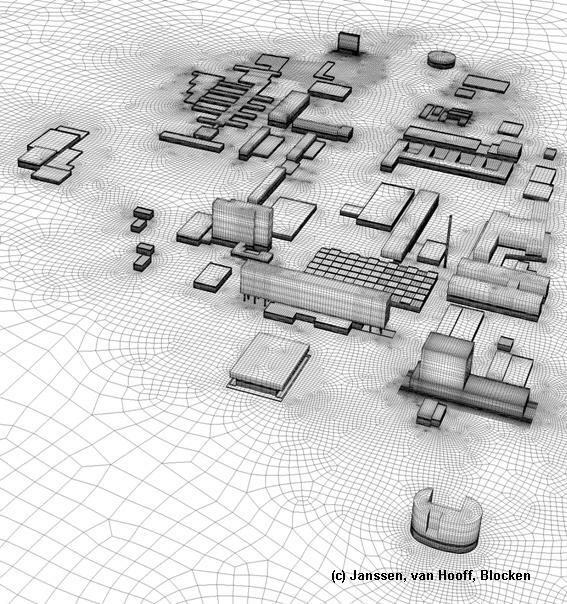 Large high-resolution computational grid of the campus.